SOAR is a community regeneration charity that provides a range of services designed to improve a person’s health, well-being and employability. 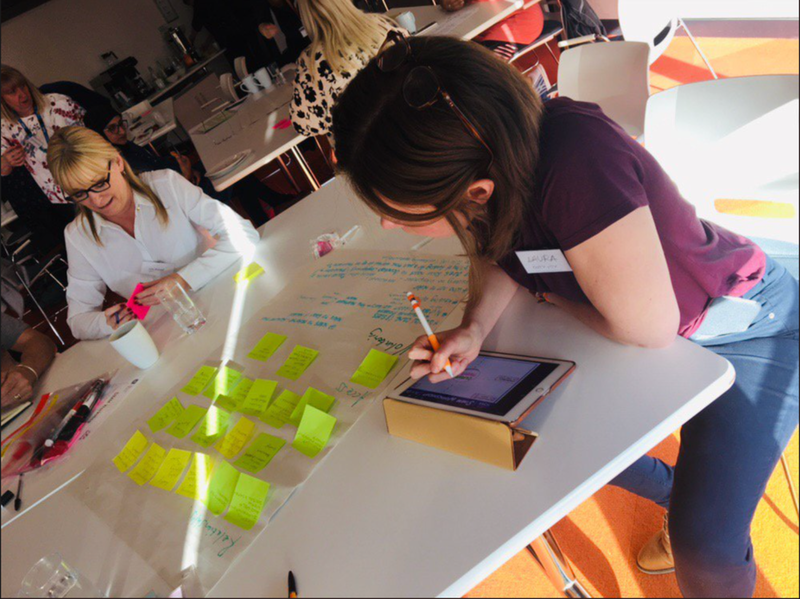 The SOAR team were working with the University of Sheffield to evaluate their work so it could be improved and reproduced in other local areas. They needed a simple, visual way to record the outcomes of their workshop with stakeholders where they communicated their research findings. I live scribed the three hour workshop to capture key themes and discussion points, to help researchers and stakeholders make new connections to solve common problems. My scribing was projected digitally whilst the event was taking place.